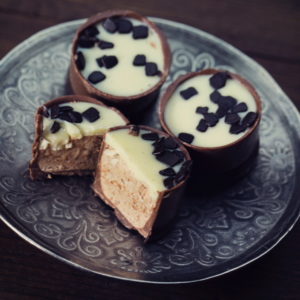 Select exactly which chocolates you would like to put into your luxury gift box to create the perfect gift or personal treat. 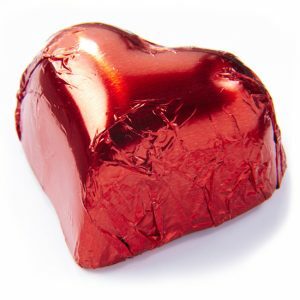 Never again will you be left with unwanted chocolates at the bottom of the box. 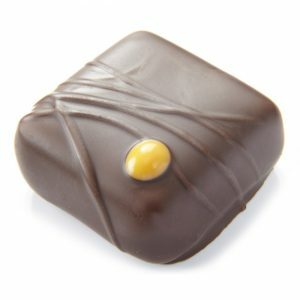 Milk chocolate amaretto and apricot ganache. 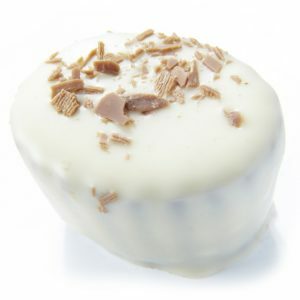 White chocolate truffle flavoured with Baileys. 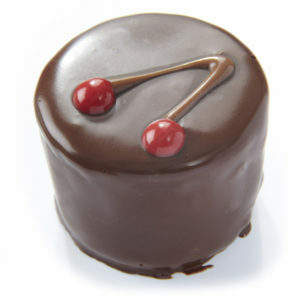 Whole cherry in brandy enrobed in dark chocolate (contains cherry stone). 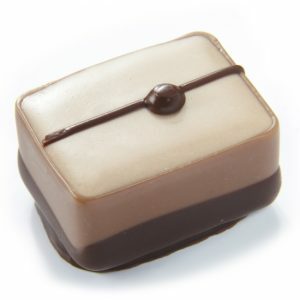 White chocolate and dark chocolate with champagne marzipan. 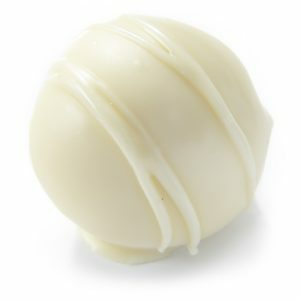 White chocolate champagne truffle coated in milk chocolate. 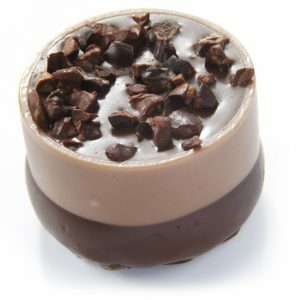 Smooth chocolate mousse topped with cocoa nibs. 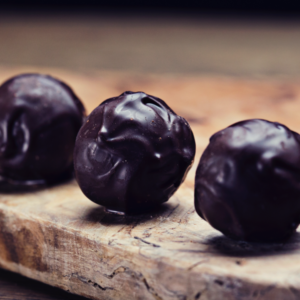 Dark chocolate truffle flavoured with Cointreau. 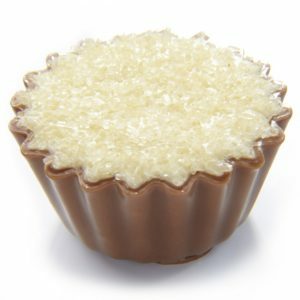 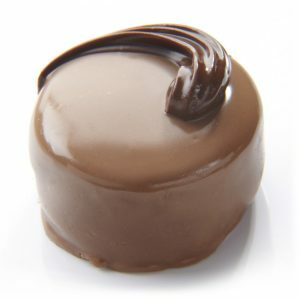 Milk chocolate cup filled with crème brûlée ganache. 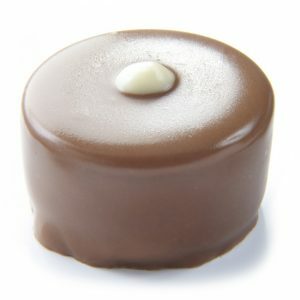 Dark chocolate with a coffee cream centre. 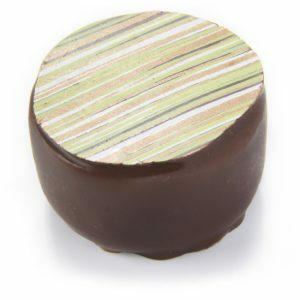 Dark chocolate orange fondant with dark gianduja. 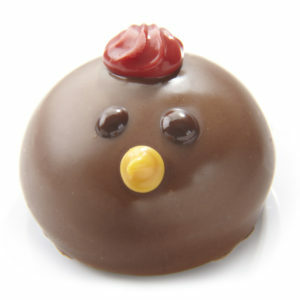 Dark chocolate truffle with real raspberry. 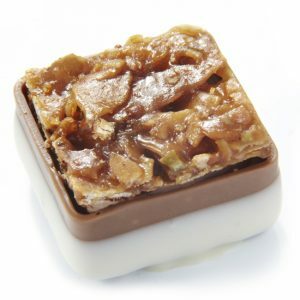 Milk chocolate almond praline topped with caramelised nuts. 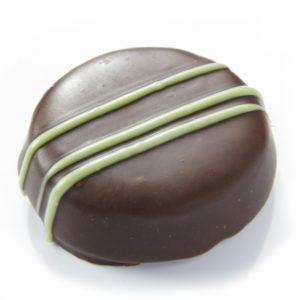 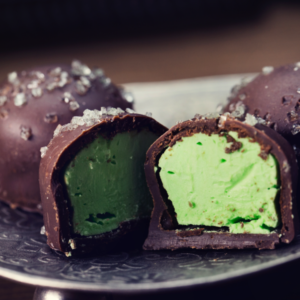 Dark chocolate with lime and chilli ganache centre. 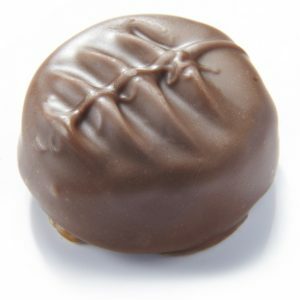 Traditional firm toffee coated in milk chocolate. 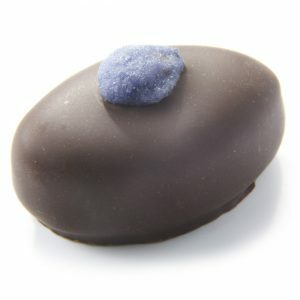 Milk chocolate coated passion fruit ganache. 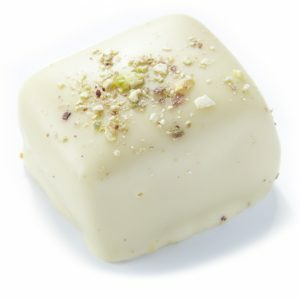 White chocolate covered pistachio marzipan. 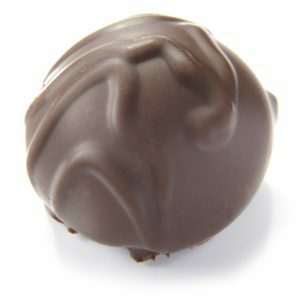 Soft milk chocolate hazelnut praline. 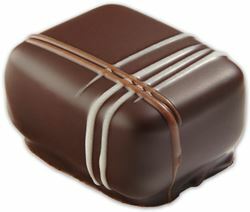 Milk chocolate praline with crunchy nougatine pieces. 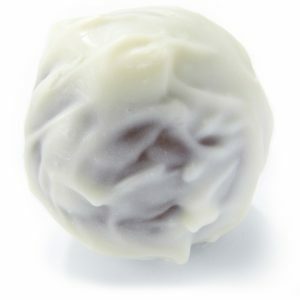 White chocolate covered framboise ganache. 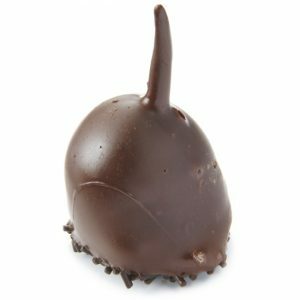 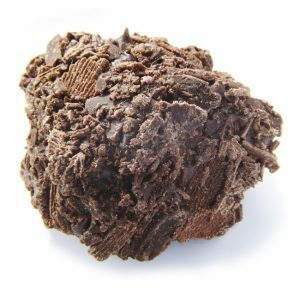 Rich, French-style dark chocolate truffle. 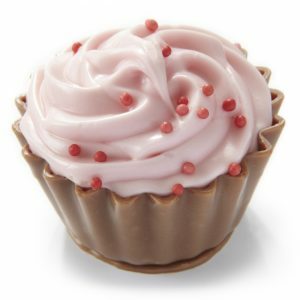 Dark chocolate rose fondant cream. 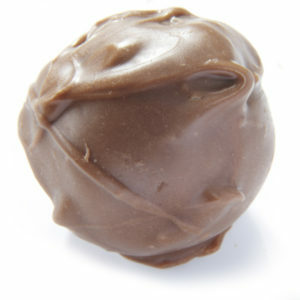 Milk chocolate truffle flavoured with rum. 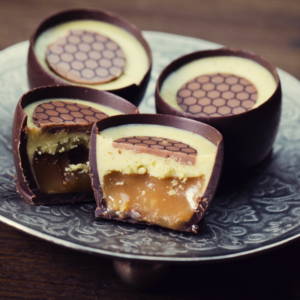 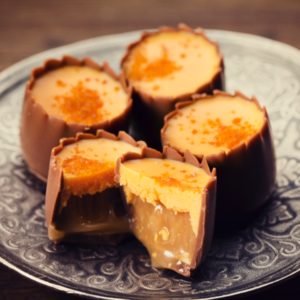 Milk chocolate with salted caramel centre. 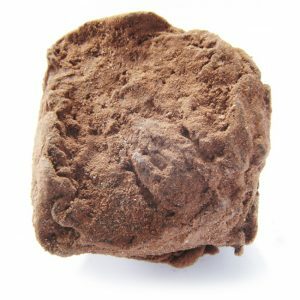 Whole stem ginger pieces coated in dark chocolate. 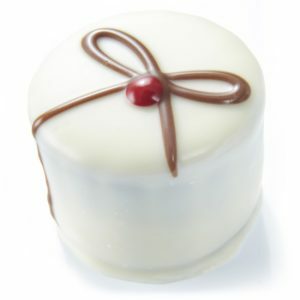 Milk chocolate with strawberry fondant and cream. 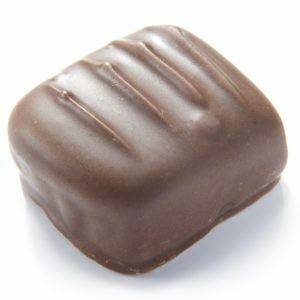 Milk chocolate covered Turkish delight. 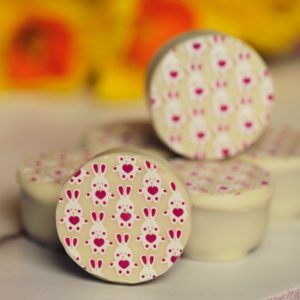 Dark chocolate violet fondant cream. 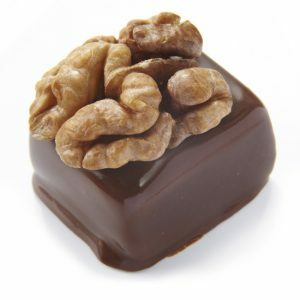 Dark chocolate coated marzipan with walnut. 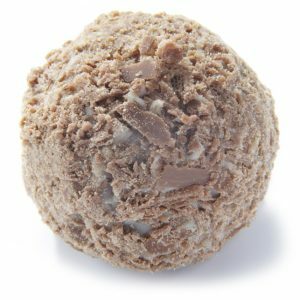 Milk chocolate truffle flavoured with whisky. 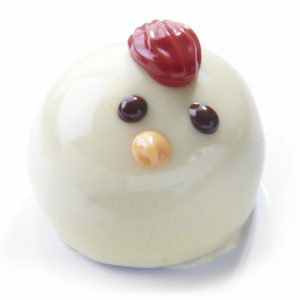 White chocolate truffle with strawberry. 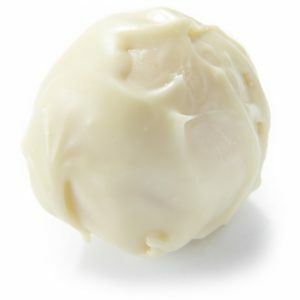 White chocolate truffle with vanilla. 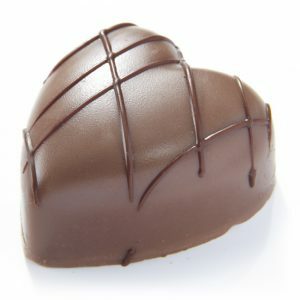 Cannot add more chocolates! 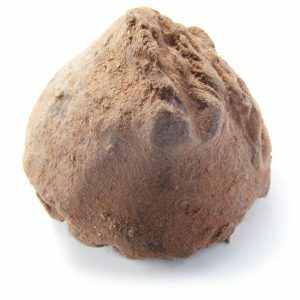 Indicates a successful or positive action.